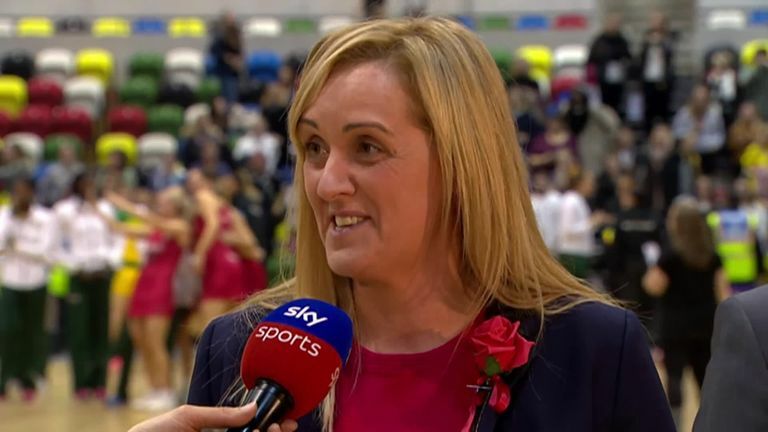 Neville: "We sat down, we learnt from our game plan and we really got together in small groups and came out and executed it"
England head coach Tracey Neville hailed an "exceptional performance" from her Vitality Roses after they finished the Quad Series with a 52-49 victory over the world-leaders the Australian Diamonds. The Roses fell agonisingly short of the five-goal margin that they needed to take a first Quad Series title. 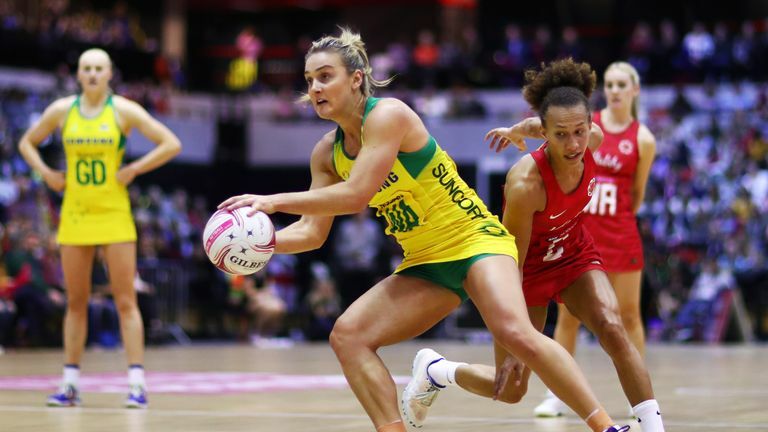 However, the manner in which they bounced back after a frustrating loss to South Africa will have left spirits high ahead of a home Netball World Cup in July. "There were some very disappointed girls with what they put out yesterday [against South Africa] and some individuals who wanted to play better and didn't," said Neville after the full-time whistle Sunday. "I think the reflection was that the pressure points that they [South Africa] put us into meant that we stopped playing and we were doing unorthodox errors. "So we sat down, we learnt from our game plan and we really got together in small groups and came out and executed it." After working with a largely settled seven throughout the course of the competition Neville had taken the opportunity to change a couple of individuals going into the final match against the Diamonds. Natalie Haythornthwaite arrived at WA and Layla Guscoth was introduced at WD from the outset. Both were heavily involved throughout the course of the 60 minutes however in the first quarter England's attacking end didn't fully fire and the result was a 14-9 deficit. At quarter-time, the arrival of shooter Rachel Dunn changed that completely. Dunn, who came back into the Roses squad for last year's season-ending series against Uganda, added greater variety and a focal point as she dominated the attacking circle. The 36-year-old's understanding with Haythornthwaite, and her partnership with fellow-shooter Jo Harten, produced an 18-10 second-quarter in England's favour. Neville was full of praise for those that stepped up on the final day of the competition. "The girls that went on, they did an absolutely excellent job. I'm so proud," said Neville. The game-changing moments weren't solely reserved for Dunn as young Fran Williams' came on in the final quarter at GD and also showed exceptional composure and impact in the face of a fierce contest. "They waited for opportunities and then they went and took them," added Neville. "That's what you want from our England squad." 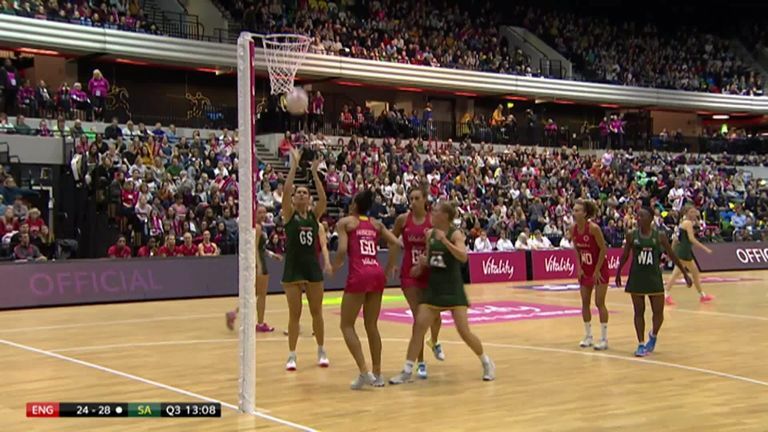 The Roses, and players from all of the nations in the Quad Series, will now go back to their domestic clubs and continue their personal preparations for July's Netball World Cup in Liverpool. England's World Cup campaign starts against the Uganda She Cranes on the opening day - Friday, July 12 - and this Quad Series was the last time that they will compete together on the international stage before that point.